We all have the same purpose, I was surprised to read in Doctor-writer-life scientist Deepak Chopra’s “The Book of Secrets.” Chopra writes that our shared purpose is to help the world “expand and grow.” He suggests it may be counterproductive to have rigid goals and to struggle too hard to meet well-defined timelines, because of what we might miss. All you need to do, he writes, is commit to fully explore your own life. In this way will you find your part in the big picture — the ways in which you can help the world. 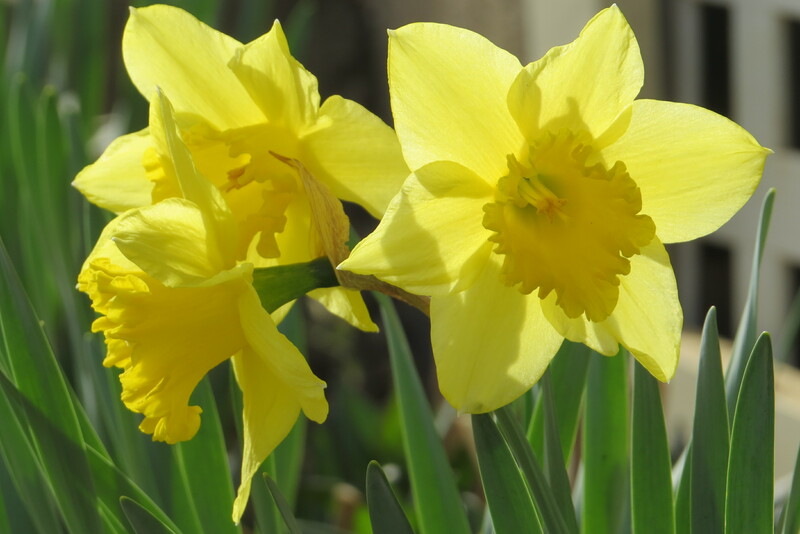 These daffodils have got it without even trying. Why shouldn’t we? Previous What’s just outside of your umbrella?